performance op de VU als onderdeel van de seminar; practise versus theory, waarbij ik reageer op een filosofische lezing: If Practice Isn't Opposed to Theory, What Is It? van John C. Maraldo. Ik plaats een tekst op verschillende manieren in de ruimte, waardoor de betekenis veranderd. De tekst is een reflectie van de werkelijke situatie tussen performer en publiek. performance + microphone, duration 10 minutes. performance at the university as part of the seminar; Practise vs. Theory, which I respond to a philosophical reading: If Practice Is not Opposed to Theory, What Is It? by John C. Maraldo. I place a text in different ways in space, which changed the meaning. 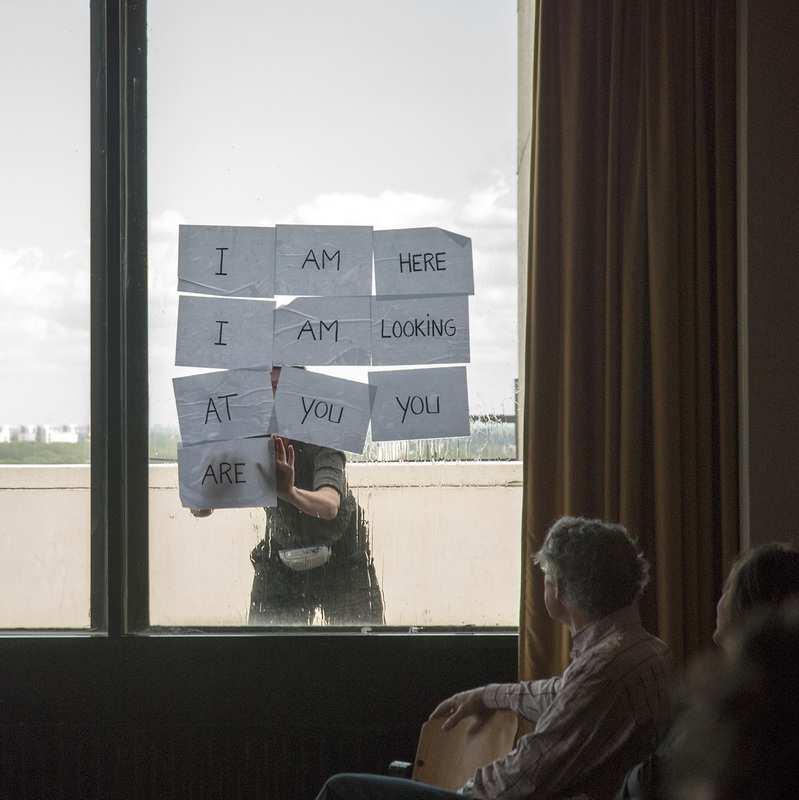 The text is a reflection of the real situation between performer and audience.